Many taxpayers are affected by the new additional Medicare tax that became effective beginning January 1, 2013. As an employer and as a self-employed taxpayer, you need to know how this tax affects employers, employees and the self-employed. The Tax Relief for Americans Act of 2013, signed into law on January 2, 2013, included a provision to increase the employee portion of Medicare taxes for higher-income individuals, both employees and self-employed business owners. The additional tax rate is 0.9% of employee income. Employers do not have to contribute to this additional tax. The additional Medicare tax is effective for income over a specific level, depending on the individual's federal income tax filing status. How Does Withholding for the Additional Medicare Tax Work? The Medicare tax rate is 1.45% for the employer and employee each. The withholding threshold is $200,000. At the point where the employee's income is greater than this threshold, additional withholding must begin. Above this threshold, the employer continues to contribute 1.45% and the employee must contribute 2.35%. For example, if the employee's wages are $220,000 for the year, the employee and employer each pay $2900 ($200,000 x 1.45 percent) for the amount up to $200,000. The employer pays an additional $290 for the additional $20,000 ($20,000 x 1.45 percent) and the employee pays $470 ($20,000 x 2.35 percent). How Do I Report and Pay the Additional Medicare Tax? As an employer, you must keep records of amounts of the additional Medicare tax you withhold from employee pay and that you owe as an employer. Pay these amounts along with all other payroll tax payments you make, on a semi-weekly or monthly basis. The additional Medicare tax owed is included in IRS Form 941 (Employer's Quarterly Federal Tax Return). You will need to show the amount of taxable wages and tips subject to this tax (on Line 5d). Remember, you are withholding the additional Medicare tax beginning at the $200,000 level, but the employee may owe more than this amount on his or her tax return. So, why should you, as an employer, want to read his detailed explanations of how the Medicare tax works for single individuals and married couples? Employers are required to withhold additional Medicare tax, above the 1.45% Medicare tax rate, at a rate of 0.9% on Medicare wages in excess of $200,000 paid to an employee. 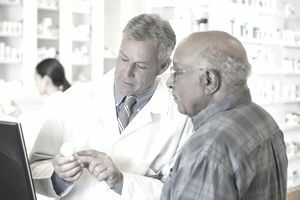 The amount of Medicare withholding may not be the amount an individual must pay, and the employee may be confused about how the withholding works. Some employees may have additional Medicare tax due in excess of the amount withheld. This additional tax must be paid on the individual's personal income tax return. ...an employee who anticipates liability for Additional Medicare Tax may request that his or her employer withhold an additional amount of income tax withholding on Form W-4. This additional income tax withholding will be applied against all taxes shown on the individual’s income tax return (Form 1040), including any Additional Medicare Tax liability. When you send W-2 forms to employees in January, you should include an explanation of line 5 "Medicare wages and tips." Employees who had the additional Medicare tax withheld may have questions about this form and the difference between Medicare wages on this line and the amount withheld for Medicare tax withheld on Line 6. For example, if you as an employer withheld the additional Medicare tax above $200,000, and the employee is married, filing jointly, the employee doesn't have to pay the additional Medicare tax until his/her income exceeds $250,000. In this case, the amounts in Line 5 and Line 6 will be different, and the employee may be entitled to a refund of some or all of the amount withheld. If you work as an employee with another business other than your own, or if you are an employee of your corporation or S corporation, you will need to know how this Medicare tax works as you receive your own W-2 form. If you have earned more than the amounts listed above, you may have to make your own decisions about paying for additional amounts of Medicare tax or getting a refund for Medicare tax. If you owe this tax, you will need to complete IRS Form 8959 to show the calculation of amounts withheld and amounts owed, based on your tax status. The new Medicare tax also affects self-employed individuals who earn over a specific amount. If you are both an employee and self-employed, all sources of earned income (as opposed to investment income) are combined to reach the levels (above) where the additional Medicare tax is applicable. There is no withholding for self-employment tax, and you expect that your income might be above the levels above, you will need to increase the amount of your estimated tax payments to account for the additional Medicare tax. You can find more detailed information on the specifics of the Additional Medicare Tax, from the IRS.